Using Visual Basic 2015 we will log three holding registers from the PLC along with time and date into a Microsoft Access Database. 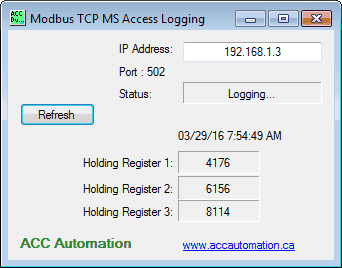 We will log every minute into the database with the information that we collect from the PLC via Modbus TCP (Ethernet). All code will be done and shown so you can implement this in your application with different parameters. The information collected in the database can then be distributed or analyzed in the future. 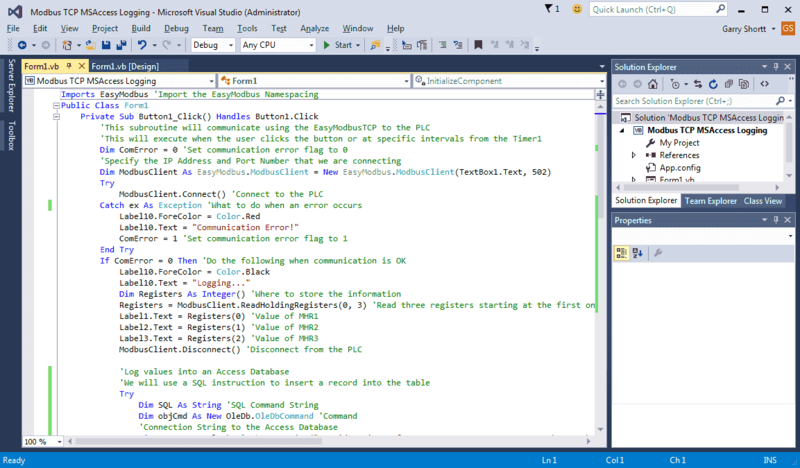 Visual Basic 2015 will be used with the EasyModbusTCP client/server library for .net. We will communicate to an Automation Direct – Do-More PLC. 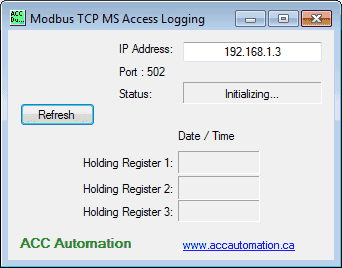 Using the free simulation software of the PLC Designer Software, we will retrieve three values of the Modbus Holding Registers using Modbus TCP. Once we have this information out of the programmable logic controller it will be placed in a Microsoft Access (2010) Database. This will be done by using a SQL command to insert the data. Automation Direct has a powerful simulator with their Do-More PLC. 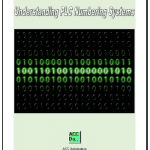 The PLC software is available from Automation Direct as a free download. We will start with the PLC program. The first three holding registers will be used. That will be MHR1, MHR2 and MHR3 in the Do-More PLC. This will correspond to register numbers 40001, 40002 and 40003. 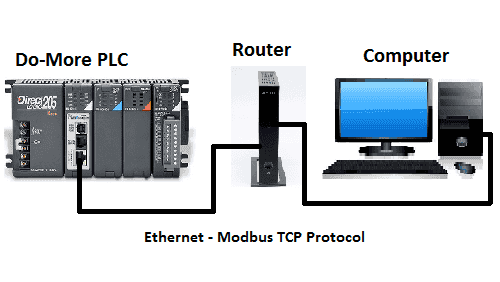 The following is a table with all of the references for Modbus communications to the Do-More. 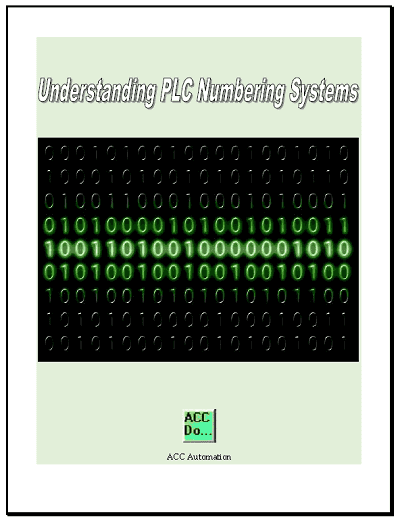 Here is the PLC program that sets the three registers. 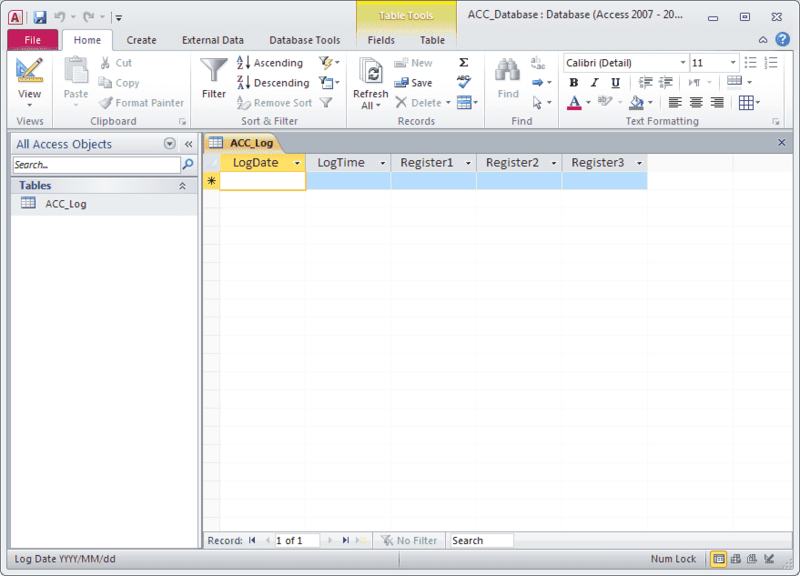 The next thing to do is set up our Microsoft Access 2010 Database. Our database will be named ACC_Database and it will be located at the following location: “C:\AccLog”. We will have one table called ACC_Log. In the table we will have five fields; LogDate, LogTime, Register1, Register2, Register3. After downloading you must extract the files. 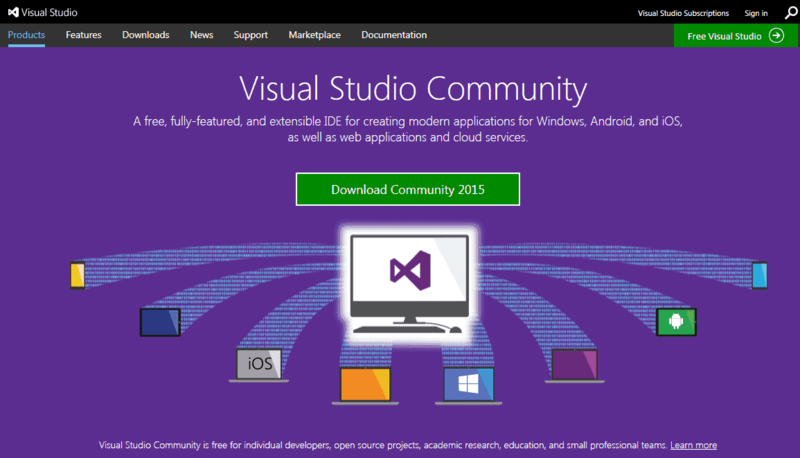 Now we will call up visual studio and create our project. 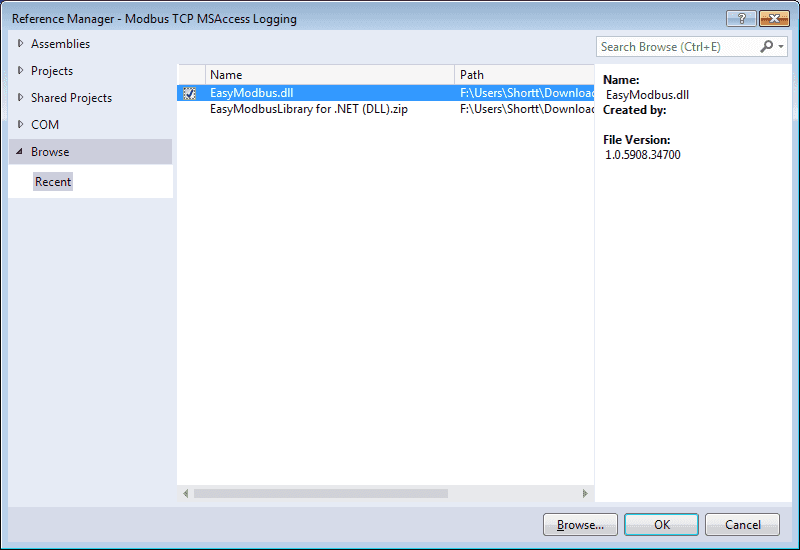 The first thing that we must do is reference our EasyModbus.dll file. Our program will log the three registers based upon a timer function. When the time expires we will set the interval to 1 minute and call a subroutine (Button1). This subroutine will communicate to the PLC via Modbus TCP and get our three registers. 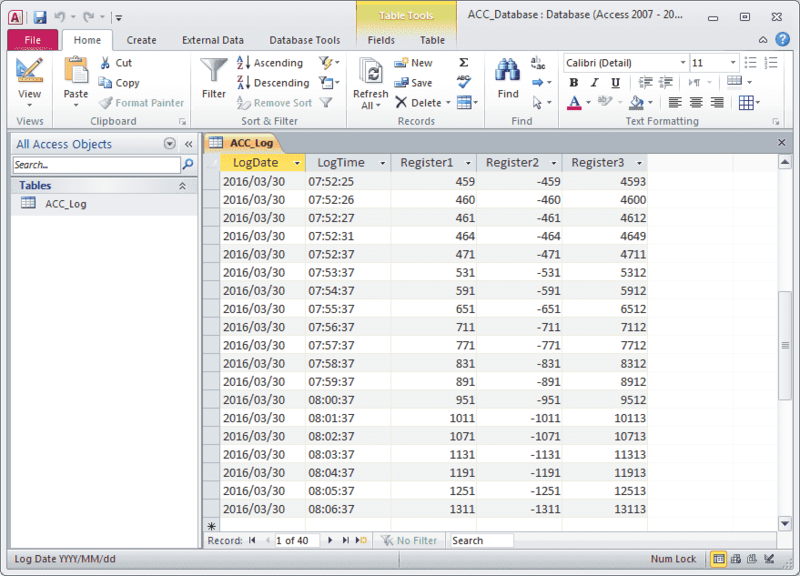 It will then insert the data from the registers along with the time and date into an access database. 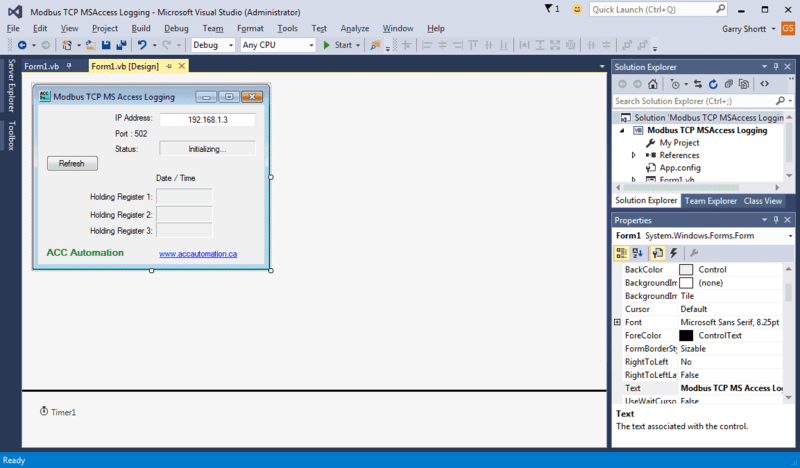 Here is the visual basic code for our project. We use the Imports command for the EasyModbusTCP namespacing. 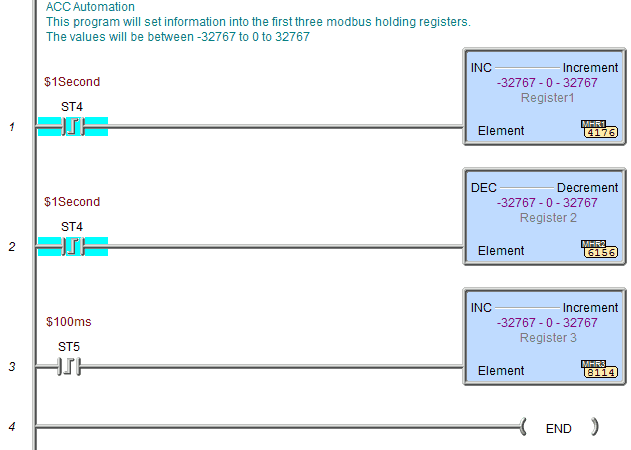 Here is the part of the subroutine that will communicate to the PLC via the EasyModbusTCP, You will notice that we have used the ‘Try’ command on the ModbusClient.Connect() statement. This way we can track if we are communicating or not to the PLC. Here is the code to open the database connection and insert the data into our ACC_Database file. We use the ‘Try’ command to ensure that if errors occur it will not stop our program. 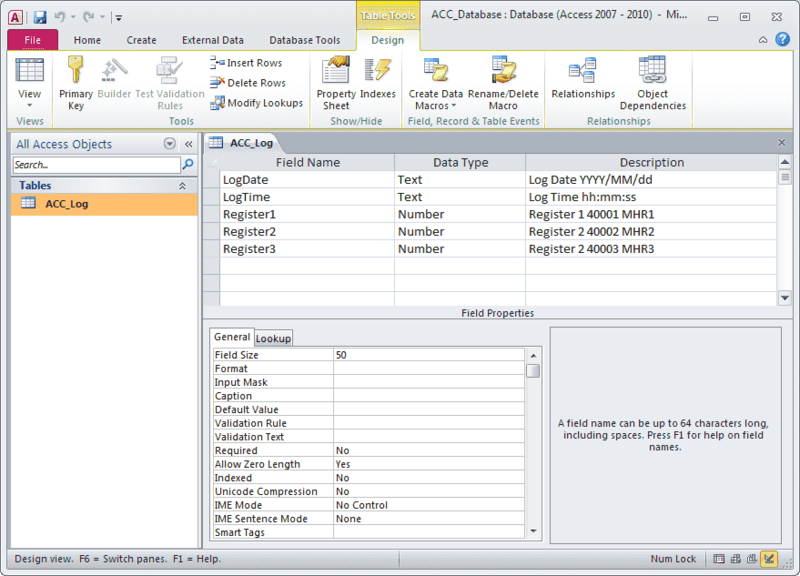 The connection string ( Provider=Microsoft.ACE.OLEDB.12.0;Data Source=C:\AccLog\ACC_Database.accdb) may be different then yours. In order to get your connection string, please review the following from a previous post and search for connection string. SQL = "INSERT INTO ACC_Log VALUES ('" & Now.ToString("yyyy/MM/dd") & "', '" & Now.ToString("hh:mm:ss") & "', '" & Registers(0) & "', '" & Registers(1) & "', '" & Registers(2) & "')"
This will handle the LinkLabel on the form.
' Specify that the link was visited.
' Navigate to a URL. 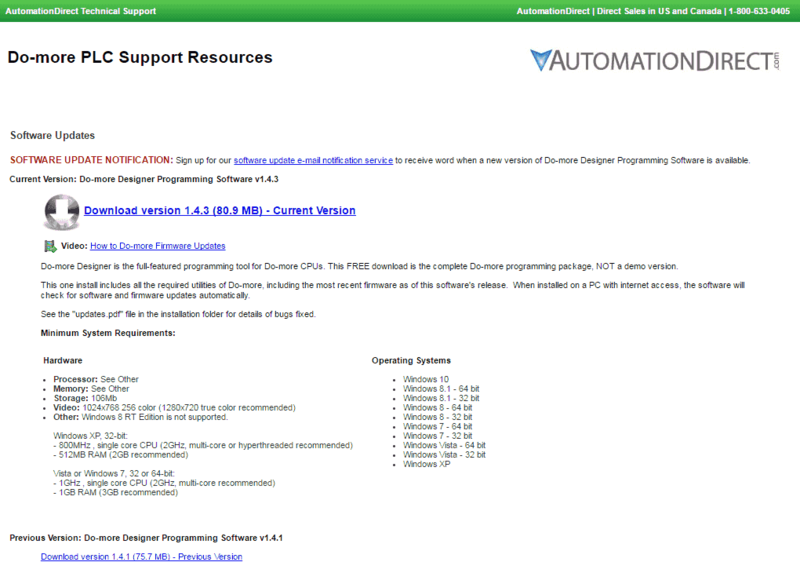 The status will show ‘Initializing..’ so that the imports can be loading in the program. This will happen each time the software starts. Logging will be displayed in the status to indicate that everything is working correctly. Communication Error! – Information is not being received from the PLC. This could be due to the wrong IP address or communications links have been broken. Database Error! – Information cannot be written into the database, the database is not present, etc. Here is what our database looks like after collecting a few samples. 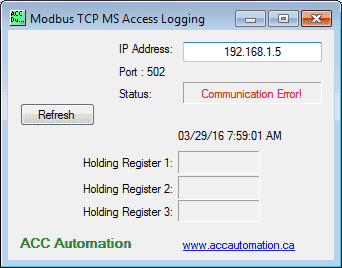 As you can see, collecting information from the PLC via ModbusTCP and inserting it into an Access database can be easily done. The next steps would be to ensure that the data is always collected. What happens when the communication to the PLC is cut? Robust logging is required. This is when we create a buffer in the PLC of the logged values. 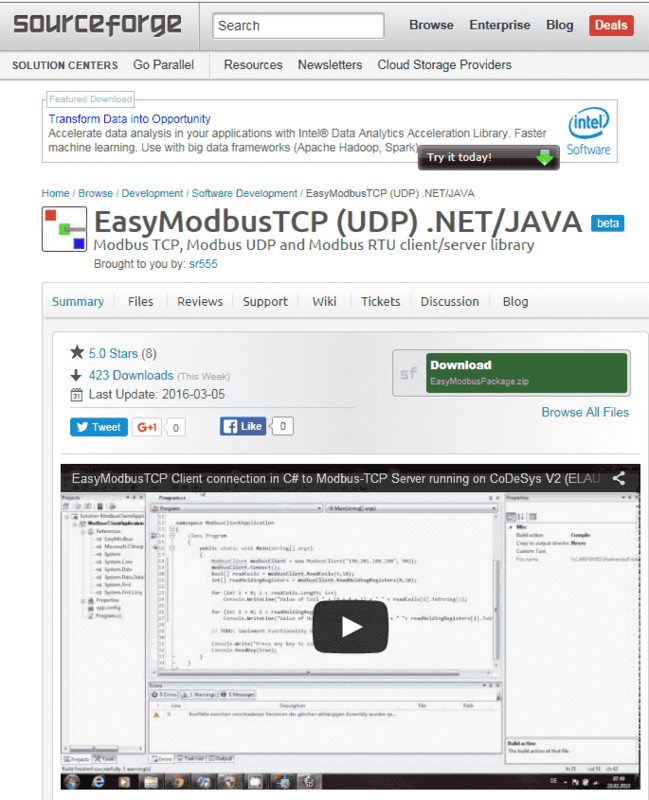 Please refer to our EBook ‘Robust Data Logging for Free’ . 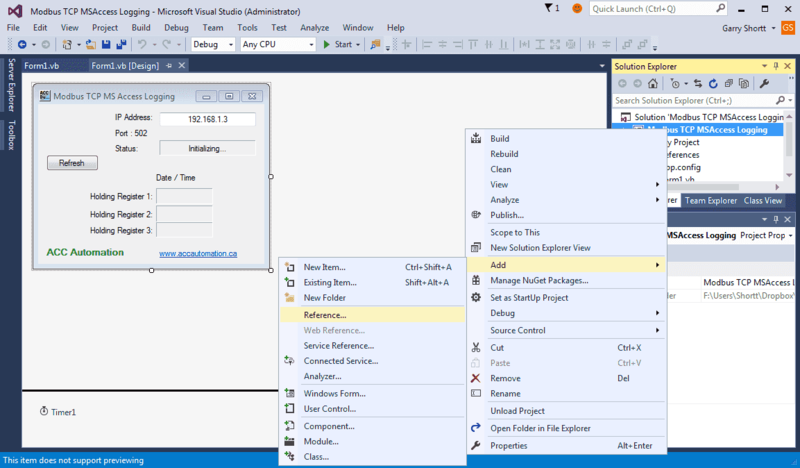 Download the sample database, visual basic and PLC code for this project here.